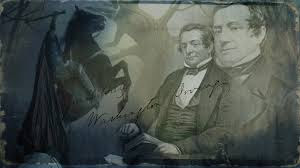 Washington Irving is best known for his short stories "The Legend of Sleepy Hollow" and "Rip Van Winkle," but he also wrote many essays. Before he lived by the pen he was a business man and one essay proves that he was a good economist as well. He wrote about the Mississippi Bubble in France of the 1720’s which he published as part of the “Crayon Papers” essays. At the time Irving wrote this essay, in the 1820’s, there were no good business cycle theories. The most common ideas blamed a shortage of money (gold or silver) or a general overproduction. Say, the French economist, distilled his famous law as part of an effort to debunk the overproduction theory. The Manchester school in England didn’t attempt its explanation until the middle of the nineteenth century and of course Mises didn’t put it all together until early in the twentieth century. Somehow, Washington Irving figured out the essence of the Austrian business cycle theory long before. I have since been occasionally reminded of this scene, by those calm, sunny seasons in the commercial world, which are known by the name of "times of unexampled prosperity." They are the sure weather-breeders of traffic. Every now and then the world is visited by one of these delusive seasons, when "the credit system," as it is called, expands to full luxuriance, everybody trusts everybody; a bad debt is a thing unheard of; the broad way to certain and sudden wealth lies plain and open; and men are tempted to dash forward boldly, from the facility of borrowing. Promissory notes, interchanged between scheming individuals, are liberally discounted at the banks, which become so many mints to coin words into cash; and as the supply of words is inexhaustible, it may readily be supposed what a vast amount of promissory capital is soon in circulation. Every one now talks in thousands; nothing is heard but gigantic operations in trade; great purchases and sales of real property, and immense sums made at every transfer. 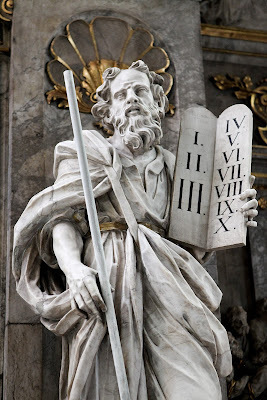 All, to be sure, as yet exists in promise; but the believer in promises calculates the aggregate as solid capital, and falls back in amazement at the amount of public wealth, the "unexampled state of public prosperity." Now is the time for speculative and dreaming or designing men. They relate their dreams and projects to the ignorant and credulous, dazzle them with golden visions, and set them madding after shadows. The example of one stimulates another; speculation rises on speculation; bubble rises on bubble; every one helps with his breath to swell the windy superstructure, and admires and wonders at the magnitude of the inflation he has contributed to produce. Speculation is the romance of trade, and casts contempt upon all its sober realities. It renders the stock-jobber a magician, and the exchange a region of enchantment. It elevates the merchant into a kind of knight-errant, or rather a commercial Quixote. The slow but sure gains of snug percentage become despicable in his eyes; no "operation" is thought worthy of attention that does not double or treble the investment. No business is worth following that does not promise an immediate fortune. As he sits musing over his ledger, with pen behind his ear, he is like La Mancha's hero in his study, dreaming over his books of chivalry. His dusty counting-house fades before his eyes, or changes into a Spanish mine; he gropes after diamonds, or dives after pearls. The subterranean garden of Aladdin is nothing to the realms of wealth that break upon his imagination. Could this delusion always last, the life of a merchant would indeed be a golden dream; but it is as short as it is brilliant. Let but a doubt enter, and the "season of unexampled prosperity" is at end. The coinage of words is suddenly curtailed; the promissory capital begins to vanish into smoke; a panic succeeds, and the whole superstructure, built upon credit and reared by speculation, crumbles to the ground, leaving scarce a wreck behind: "It is such stuff as dreams are made of." That’s just the intro to the account of John Law and the artificial boom he created in Paris in 1720 through his printing of paper money, a relatively new scheme at the time. True to the ABCT, the bubbles afflicted the usual suspects – real estate, the stock market and transportation, carriages, or “equipages” in the eighteenth century, cars today. Irving presents more evidence that the ABCT is founded on real empirical data, not just imaginary constructs that are the foundation of mainstream business cycle theories.